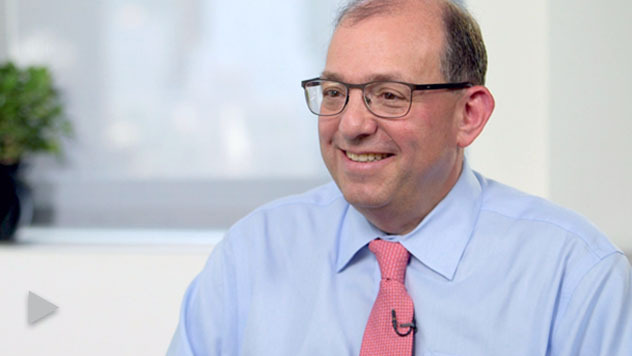 Portfolio Manager Jay Kaplan explains how the market’s behavior is leading him to be more cautious. My outlook is constructive and cautious. The Russell is making new highs almost every day. The leadership of the Russell 2000 this year continues as it’s been for a while to be in healthcare and technology, mostly in the non-earning companies. 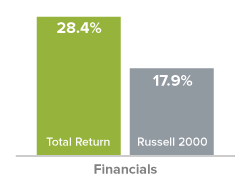 The Russell is on track so far this year to have double digit returns. We don’t know what will happen in the second half. But that’s how we’re tracking so far. Because the market’s high, we’ve been taking some profits and trimming around some of our higher multiple long-term winners. But we really do like where we are. Is market behavior affecting how you’re managing the Portfolio? The behavior of the market is leading us to be more cautious as interest rates go up. I think interest rates will be headed higher for quite a while. Long duration assets, those companies that don’t earn much now, but are expected to earn way in the future. As they are discounted back with higher rates their valuation should come down. Right now cash generating businesses should do better relatively as rates continue to go up. What is your perspective on Total Return’s performance this year? Total Return's performance this year on an absolute basis has been disappointing. We got hurt by a few things this period. We tend to over-index industrials and financials, that’s the history. Because that’s where the dividends are. 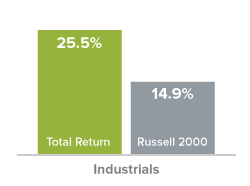 Those were two of the worst performing sectors in the Russell, so that didn’t help us. Our stock selection was a little bit disappointing. That didn’t help us. And the performance of the bond proxies, which are the REITs and the utilities, stocks that we usually don’t own a lot of, as the yield curve started to flatten, those did very well, and those are dividend paying stocks that did well, and we had trouble keeping them. But let me frame it in context of what Total Return strategy really is. Historically, Total Return has exhibited very low volatility. In fact, if you look at the entire universe of small cap funds, all funds value core growth, you’ll find the Total Return is amongst the lowest in volatility. The Fund was in the lowest volatility quintile compared with all funds in Morningstar’s Small Growth, Small Blend, and Small Value Categories with at least five years of history, a total of 524 funds as of 6/30/18. The universe consists of each fund’s oldest share class only. Volatility quintiles are based on the average five-year standard deviation for each of the last four calendar quarters. Higher volatility is usually associated with higher risk. Now there’s trade off that goes along with that. Historically, when markets are very, very strong, we’ve underperformed. We don’t expect that these conditions will remain forever. Markets are making all-time highs almost every day. But interest rates continue to go up, and there will be pressure, we think, on the leadership, which has been the non-earning companies, particularly in the areas of biotech and Internet stocks. So we would hope that if history is a guide, when volatility picks up, the Total Return fund can exhibit those historic patterns and do well.